Fine Life Group operates as an international network of member firms offering legal and financial services in Cyprus, Greece, Russia, United Kingdom, and Georgia. Our law firm, headquartered in Cyprus, was founded in 1975, giving us in-depth sector experience providing clients with innovative solutions, helping them to mitigate risks and find the most rewarding opportunities. Cyprus’ geographical location at the crossroads of Europe and the Middle East, its high standard of living and favourable tax regime, make it a profitable destination for foreign investment. 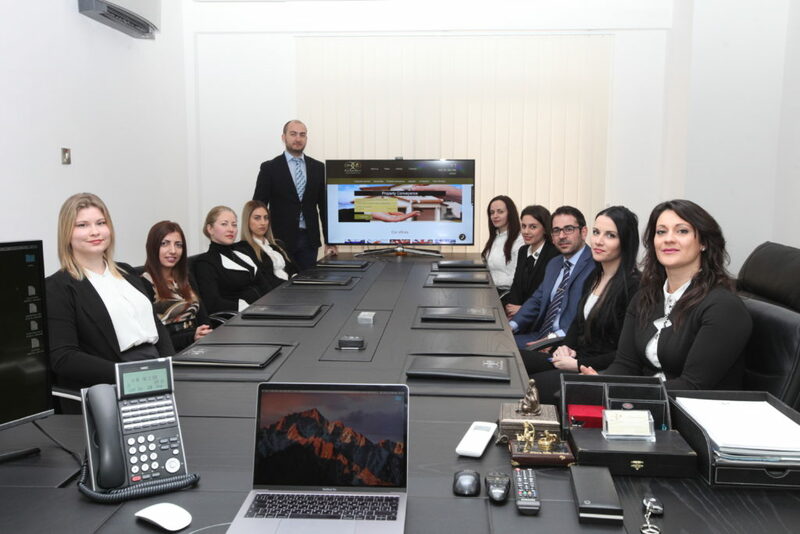 Combining an extensive knowledge of the Cypriot legal system, with an in-depth understanding of international and EU law, our lawyers are dedicated to assisting clients with their business and legal needs, in the areas of corporate finance, renewable energy, trusts and asset management, tax planning, and litigation. Our extensive experience and forward-looking, client-based approach places our bespoke corporate services at the forefront of the industry. Regardless of what kind of corporate structure you’re interested in, we will be able to provide professional advice and legal support for both initial set-up negotiations to corporate governance management. If you are interested in buying or selling a property in Cyprus, regardless of whether you are living in Cyprus or abroad, our legal conveyance experts at Fine Life Limassol have the knowledge and experience to handle your case from A to Z and provide the turn key solutions. Whether you’re interested in a temporary residence permit for the purposes of education, or moving to a permanent place of residence to raise a family or to start a business, we can assist in determining the best options. Having acted on behalf of hundreds of international clients in residency applications, we can guarantee a strong success rate and a consistent customer-centric approach. Our focus is on designing a custom-made financial plan and aligning it with every legal aspects of a client’s life – whether that involves real estate, tax strategies, or succession and inheritance planning, thereby formulating a strategic asset allocation strategy for both the short and long term. We help clients reinvent their business models to improve efficiency and create a competitive advantage in the market by capturing value across the organisation and optimising its structure through and through. Our experience and legal expertise is backed up by a wealth of won cases. As well as the highest qualifications in the fields of civil, administrative, and criminal proceedings both in Cyprus and abroad.